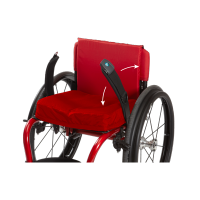 We introduce the first medial 4-point hip belt, which greatly reduces shifting of the pelvis and improves stability in the wheelchair. We patent the Clickit� Seat Latch. Our Tri-lock Midline Joystick Mount offers huge improvements over previous models, quickly becoming a preferred aftermarket chair accessory for its versatility and precision action. We introduce and patent the Cinch-Mount� End Fitting, which enables quick installation and makes it extremely easy to adjust the length and buckle placement of any belt or harness. We think outside the wheelchair to introduce the Aeromesh� Bath Belt, addressing the challenge of securing users in wet and slippery shower chairs with a quick-drying material that is friendly to the skin. 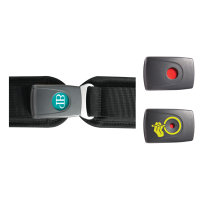 The patented modular push-button buckle allows for ease-of-release fine-tuning and makes it the most adaptable, compact, easy-to-tighten and indestructible means of securing a wheelchair belt. 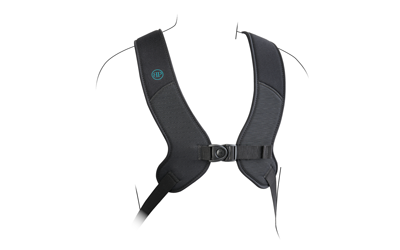 The PivotFit� Dynamic Shoulder Harness combines a comfortable fit with a seriously engineered high-strength swivel buckle, for a central release that's both elegant and secure. 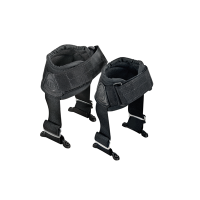 Our Ankle Huggers� Support Straps revolutionize leg support and foot positioning to provide a more comfortable and dynamic alternative to rigid shoe holders or foot straps. The Fulcrum Adjustable Angle Footplate is introduced and wins Best New Product at the Canadian Posture and Seating Symposium for its revolutionary way of accommodating foot inversion/eversion. The patented Hip Grip� Pelvic Stabilizer dramatically changes the concept of pelvic stability from a fixed position to a stabilized range of movement that enhances reach and independence. 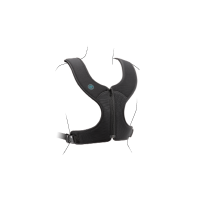 Combining the strength of a shoulder harness with the comfort of a stretchy butterfly bib, the Dynamic Stayflex� Chest Support ensures optimal trunk control while reducing the choking hazard found in many chest supports. 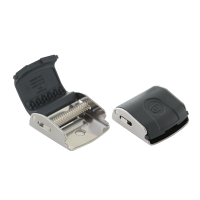 The patented Rehab Latch� Buckle is the first buckle designed specifically around the needs of wheelchair users - easily manipulated by the weakest hands, yet secure enough to resist accidental release. Solving the age-old problem of having a belt get caught in the wheelchair during transfers, we create the Evoflex� Pelvic Stabilizer with its patented tapered thermoplastic end strap. © 2019 Bodypoint, Inc. All rights reserved.